When it’s the world’s biggest Building Society, in a position to offer a real alternative to the big banks but looking to refresh its image, and transform a number of its high street branches in key locations. ‘i-am’ have recently created a new, unified brand design language for this iconic British institution that touches every aspect of how Nationwide expresses its offer. This included creating everything from a modernised refreshed brand mark and visual identity, to a very tangible, striking new branch experience. Balance was key to the brief. 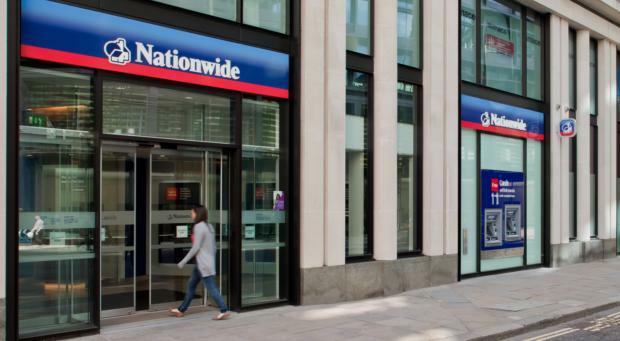 Nationwide were keen to retain their appeal for the existing customer base but were also keen to project a revived look and feel onto the high street to engage with a younger, more brand aware customer. The scope of the project took in literature, digital, online, campaign and branch communication and signage, taking place alongside ‘i-am’s work on Nationwide’s new branch experience design. The ‘i-am’ designers used a clever mix of the latest banking technology and intricate interior design to create a ‘barrier-less’ feeling to the new sites. As well as being slick and cotemporary, they are also welcoming, inviting and have received an overwhelmingly positive response from staff and customers alike. The coherent and co-ordinated launch of all these elements, seen most completely in the new branches located in London, Guildford and Brighton, re-energises a solid institution as a modern, relevant, credible and highly appealing alternative to the UK’s slick but corporate banks.